I’ve read a lot this past year. When I decided to write a blog every day from May 7th last year to Election Day this year I realised as part of that I would need to read in order to find inspiration, facts, and just to understand both sides of an issue I wanted to write about. Sometimes on my journey, I have come across an article at an angle I hadn’t thought of before, or one that was particularly persuasive, and found myself to be extremely grateful for it. I would definitely describe those feelings as appropriate for how I felt reading James Meek’s article about why Privatisation is the key to the election in the Guardian last week. Privatisation has become a term of abuse in this election. It has also been abused. Many on the left have used it inaccurately (and they know it) to describe the contracting out of non-core healthcare procedures to private sector companies, particularly to clear a waiting list. Others have talked about how the privatisation of energy, water, rail and telecommunications have in many ways not been in the interests of the public. But in general it has been thrown at people from the right. They are told they want to ‘Privatise education’ or ‘Privatise health’ or ‘Privatise welfare’. What hasn’t been done is a proper explanation of the problem with Privatisation. Or, more importantly, how the public sector can actually provide what Meek calls ‘universal networks’ that can benefit and enrich society as a whole. Networks that just can’t be run privately. Meek starts off with a speech given in 1875 by the Conservative Home Secretary Richard Cross, who served under Benjamin Disraeli. It starts off unpromisingly, given what Meek is writing about. “I take it as a starting point,” Cross said, “that it is not the duty of the government to provide any class of citizens with any of the necessaries of life.” This line may be something the left think all of the right think, and many of the right actually think. But History students may know that this speech launched the Public Health Act. Cross was steering through a bill to oblige the wealthy to subsidise the country’s first national network of mains water and sewers that would serve the poor and the rich. The next century saw the hideous squalor of Britain’s industrial cities, with peple living in exhaustion, misery, and plague-like life expectancy, disappear, never to return again. The next century saw Conservatives and Social Democrats work together to create a series of transformative national networks in water, health, education, transport, post, welfare and energy. These networks relied upon three principles: They must be universal – for rich, poor and in between. They can only be funded if the rich pay extra. There needs to be some government involvement in running them. Hence the networks I have just listed form the names of the traditional government departments we know today. Meek then explains why Margaret Thatcher’s ‘Right-to-Buy’ policy, where people could buy their own council house, was so significant. 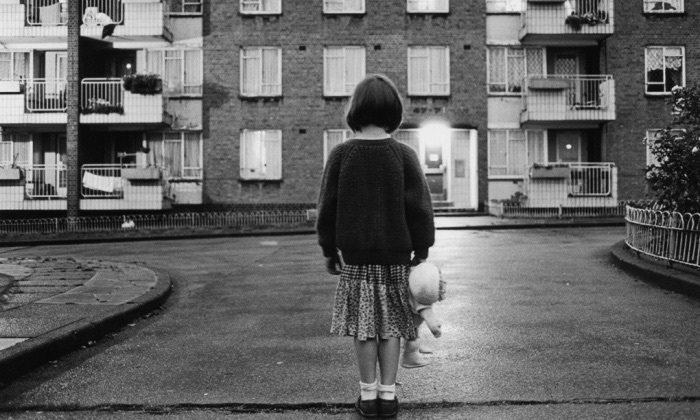 It happened at the moment the council housing network had become universal, in that there was a house for pretty much everyone that needed one. Thatcher, Meek argues, had a disdain for the notion of a British community for mutual benefit. Furthermore, Meek makes a point I had never considered before. By disaggregating and then allowing foreign takeovers of Britain’s universal networks, Thatcherites could argue that they lowered the tax burden. Actually they just shifted the tax burden from progressive taxes on income where the rich pay a higher proportion of their income on funding universal networks of energy, water and transport, to a flat fee for each for the now privatisation networks for which the poor pay a higher proportion of their income than the rich. The original idea of the universal networks was that they would provide a service for everyone through a levy proportionate to everyone’s means. The well-off thus paid the lion’s share of building our sewers, council houses and schools. Now the less well-off pay a greater proportion of their income to fund wind farms, new nuclear power stations, broadband coverage in the countryside and London’s new super-sewer. Meek goes onto argue that the commercial incentives being brought into health and education are leading to these universal networks becoming autonomous fragments, oligopolized and chainified. It leaves us with a fundamental question to be asked which Meek believes should be at the heart of any election campaign. What is a government for? Shouldn’t it protect, shelter, build, guide and provide? Why are all the political parties at the heart of the campaign arguing about what government should do? They should instead be talking about what a Government should be. Meek ends by wondering why Britain has spent the past few decades charging around the world, lecturing less developed countries on the joys of privatisation. He suggests we should be exporting instead the complex interplay of private and public initiatives that acted out country’s universal networks, having just told the story of how that worked in water and is working in broadband to the point where that network should soon, as in the USA, be designated a utility. Just because our government has failings, Meek argues, doesn’t mean the very idea of government should be denigrated. He points out that the Ukraine and Iraq, the two countries whose armies suffered the most devastating failures in 2014, had spent years being told there were free market solutions to problems that could only be solved by the state-led reconstruction of universal networks. Ultimately, this is what should be being talked about in this election. The mainstream parties have left a massive vacuum. The Greens, to their credit, have tried to do it in their manifesto, but I doubt many people have read that nor do they have enough people who can explain it publically well enough for people to listen. Well, I’m listening now. And this – “Thatcherites could argue that they lowered the tax burden. Actually they just shifted the tax burden from progressive taxes on income where the rich pay a higher promotion of their income on funding universal networks of energy, water and transport, to a flat fee for each for the now privatisation networks for which the poor pay a higher proportion of their income than the rich.” – is at the core of what has gone on since Thatcher. It’s the great con-trick that the left has failed to challenge – and which continues to facilitate the great transfer of wealth, property and opportunity from the many to the few.